Founded in 2016, Kindred builds trusting relationships between families of diverse socioeconomic and racial backgrounds within early childcare centers and elementary schools to create an environment and resources that support all students’ success. Kindred seeks to eliminate educational inequity that limits poor children, especially those of color, from fulfilling their potential. Kindred’s vision is communities that will care for all children, across lines of difference, as if they were their own. In 2017, Sustained Dialogue Institute partnered with Kindred to help them build their dialogue curriculum for elementary school parents. 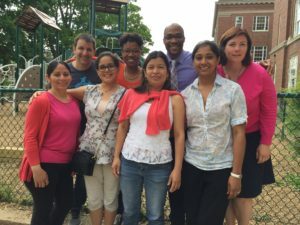 Kindred parent dialogue groups meet twice per month over the course of the school year to discuss identity, race, equity, and aspirations for their children. Parents are encouraged to move through the five stages of dialogue, culminating in an action plan to improve their school. 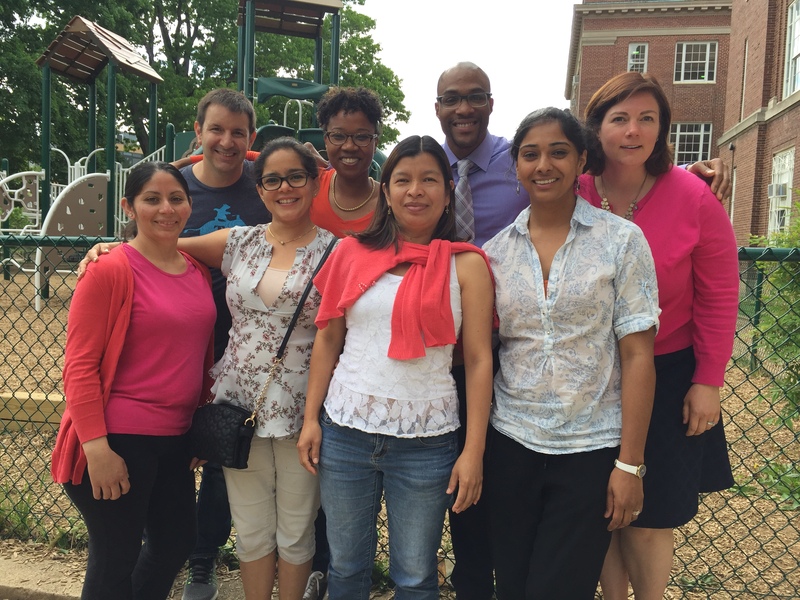 Kindred’s dialogue groups are forming a network of diverse parents fighting for equity. 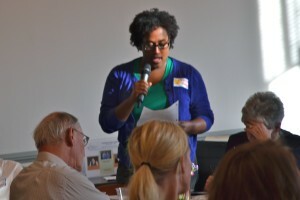 The Columbus Indiana Community Area Sustained Dialogue, now completing two full years of monthly sessions, focuses its work on identifying and addressing obstacles to and creating opportunities for economically challenged citizens to achieve self-sufficiency – economically, socially and emotionally. The dialogue has created a space that regularly attracts Columbus area residents from all sectors of the community: from city council to the socio-economically disadvantaged, from United Way to community center leaders, from landlords to renters and homeowners, from the police’ and sheriff’s offices, to employment agencies and transportation specialists to medical professionals and church leaders and members. The participants often describe this dialogue as “a wonderful space that WE have created,” working across social and institutional boundaries. Concrete actions include the development of a comprehensive program to ensure those ready to work have reliable transportation. More broadly, participants note that their dialogue continues to have a transformative impact on the local political climate, moving from confrontation to listening, and from listening to dialogue. For almost a year in 2014 a diverse group of stakeholders in the controversial education reform movement in Puerto Rico requested SDI Associate Ramon Daubon’s help in organizing and moderating a slowly broadening dialogue separate from the contentious official policy process. The Corillo (“little choir”) dialogue broadened its participant base over time and was able to draft a basic document on the essentials of a public education that all parties can adhere to as a basis for broader discussion. Daubon also collaborated with Foundation for Puerto Rico (FPR) and the multi-actor “Imagine Santurce”, a place-making initiative, to convene stakeholders in a variety of fields (e.g. education, transportation, unused properties, access to capital, the arts as convener) in order to reactivate the central business district of the city. Daubon moderated a monthly informative gathering where working groups reported on topical activities which had the potential to evolve into SD spaces. Also in Santurce Daubon and a group of business students in a senior seminar on community development at Universidad Sagrado Corazón (USC) selected a sub-district around “calle Loiza” as a field case study. 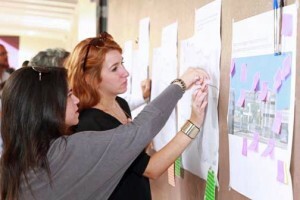 In collaboration with urban-planning students from MIT, the University of PR and a local design firm, the seminar is experimenting with applying to community settings design thinking strategies normally conceived for business or institutional settings. Parallel to SD’s practical evolution from national conflicts to communities to organizations to firms, the five-stage design thinking process (coincident with SD’s five stages) is here attempting to evolve in the opposite direction, from the firm to the civic. The conceptual contribution of design thinking is to have the participants in a dialogue see themselves as designers of an economic future that they—and only they—have yet to invent. The practices of design add a new dimension to the recurring ebb and flow motion of the SD stages.